Instead of doing the hundreds dozens of others projects I should be sewing, I'm sewing cats. 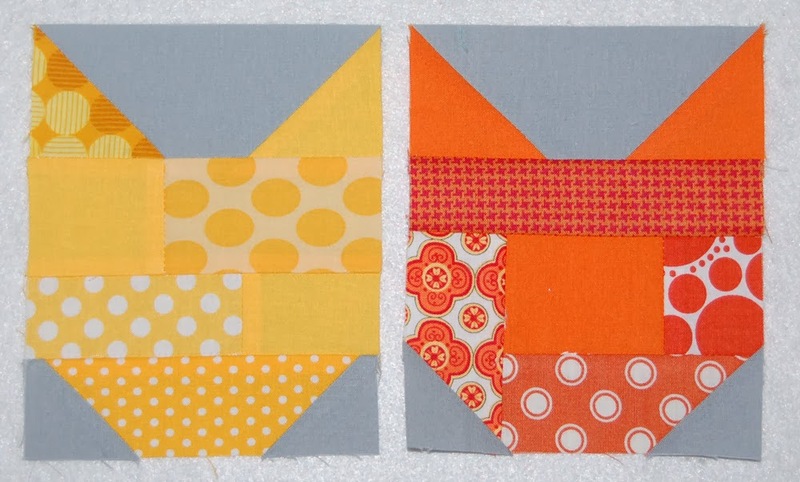 I found the #catventquiltalong on instagram, and headed over to Elizabeth Hartman's blog to find the details. These are very addictive. And, at only 4" x 5", easy enough to do one or two in between other things. A purr-fect way to use up scraps. Okay, that was lame. And honestly, it doesn't use up that many scraps. But, they are cute and colorful and just right for these cold winter days. Two down, 23 to go. Ha Ha! That's what I did in December when I didn't have the time or motivation to do anything else. They are a lot of fun, aren't they? I made 12 for a charity quilt for the AMQG and saved 10 for myself. They are cute and fun. They are on my list. They are so darling!! !